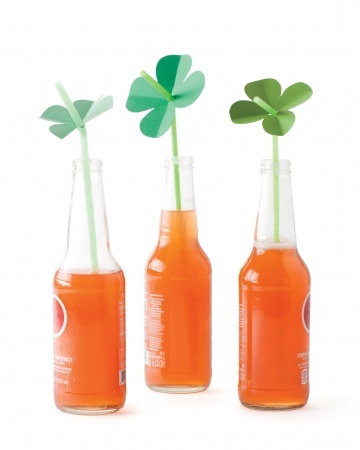 Let your kids create their own luck with four-leaf-clovers fashioned from green card stock. Pastel Kisses milk chocolates with mint (available seasonally) are the perfect St. Patrick's Day topping for these crinkly chocolate cookies. In a small bowl, stir together flour and baking soda; set aside. In a medium saucepan, combine butter, brown sugar, and water. Cook and stir over low heat until butter is melted. Add chocolate pieces; cook and stir until chocolate is melted. Pour mixture into a large bowl; cool for 10 minutes. Using a wooden spoon, stir egg into chocolate mixture. Stir in flour mixture until combined. Cover and chill for 1 to 2 hours or until dough is easy to handle. Preheat oven to 350 degrees F. Shape dough into 1-inch balls. Place 2 inches apart on an ungreased cookie sheet. Bake for 8 minutes. 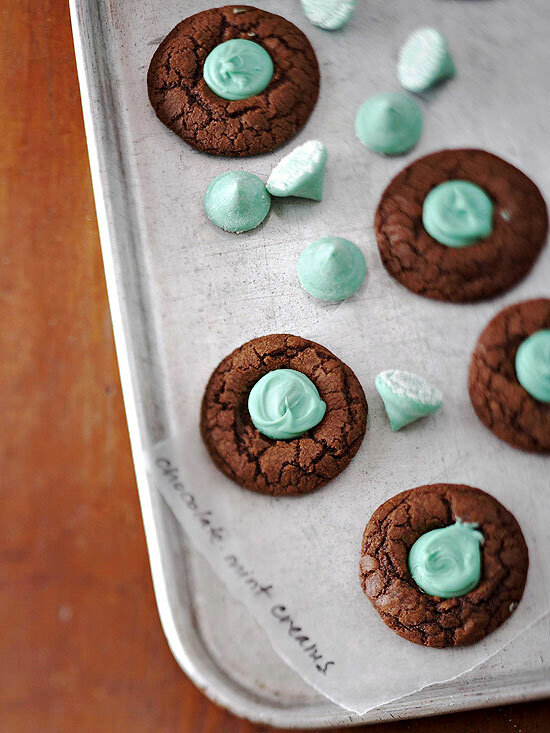 Immediately place a mint kiss on top of each cookie. Bake about 2 minutes more or until edges are set. If desired, gently swirl the melted mints with a table knife. 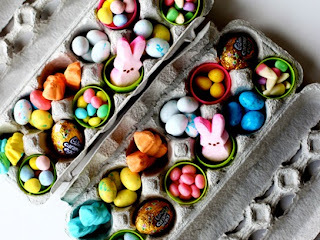 Transfer cookies to a wire rack; cool until melted mints are firm. Makes about 48 cookies. 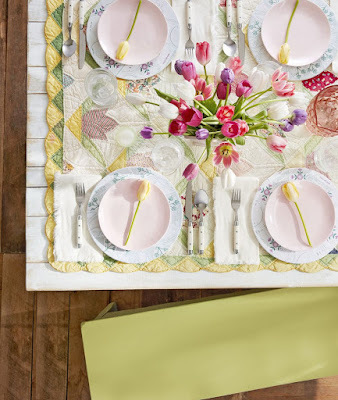 Line a cookie sheet with aluminum foil and lightly coat it with cooking spray. 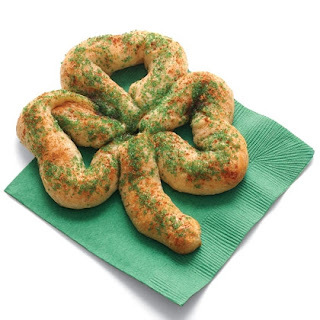 To create the clover shape, mold 3 sections of bread sticks into hearts and press them together as shown. 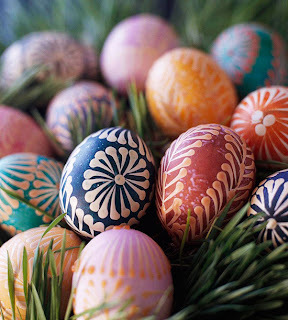 Attach a small stem, decorate, bake according to the package directions, and serve them up to your lucky guests. Whip up these festive floats for some green-drink sipping on St. Patrick's Day. 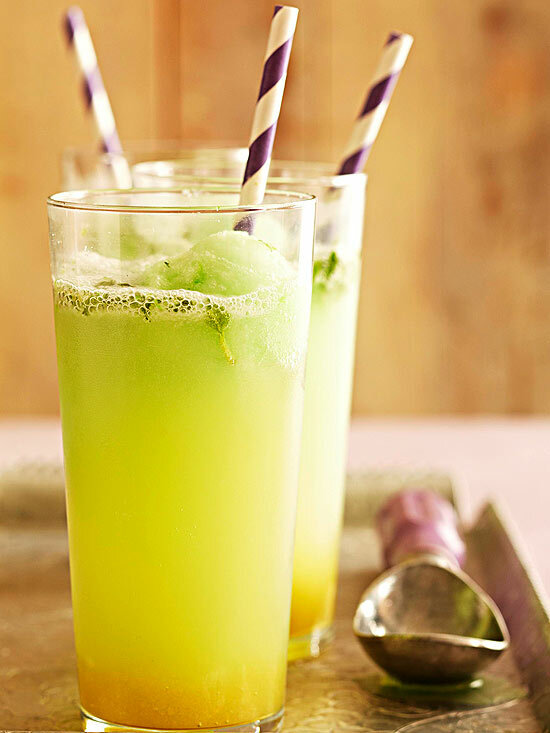 The color comes from lime sorbet; the tang comes from ginger syrup and fresh mint. For ginger syrup, in a blender combine the water and ginger. Cover and blend until ginger is pureed. Transfer mixture to a small saucepan. Stir in sugar. Bring to boiling; reduce heat. Simmer, uncovered, about 10 minutes or until mixture is reduced to 1 cup; cool completely. 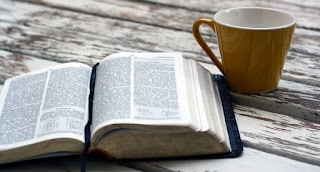 Chill for at least 30 minutes (up to 1 week). For each float, pour cup of the ginger syrup into a tall glass; add 1 tablespoon of the lime juice and 1 torn mint sprig. To muddle, gently crush mint with the back of a spoon. Add cup of the sorbet; slowly fill with club soda. If desired, garnish with lime peel. 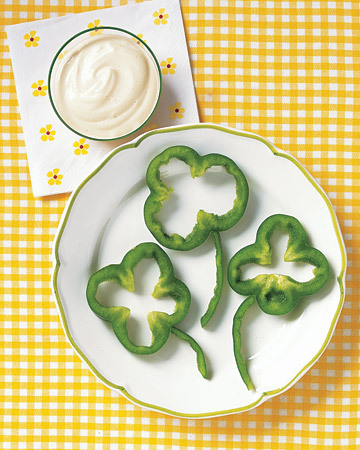 Dress up any St. Patrick's Day meal by adding shamrocks made of green peppers to your plate. 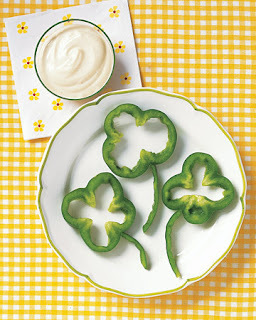 Slice a green bell pepper width wise; it will reveal a shamrock or lucky four-leaf clover shape. Slice another pepper lengthwise to create stems. 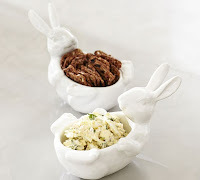 You can also present it to kids as a lucky snack ~ just serve with your child's favorite dip. You'll love this minty St. Patrick's Day take on the classic root beer float -- instead of root beer, we used chilled cream soda, and instead of vanilla ice cream, we used mint-chocolate chip. Cheers! Pour 1 teaspoon of the chocolate syrup, then 1 teaspoon of the liqueur into each of four tall glasses. 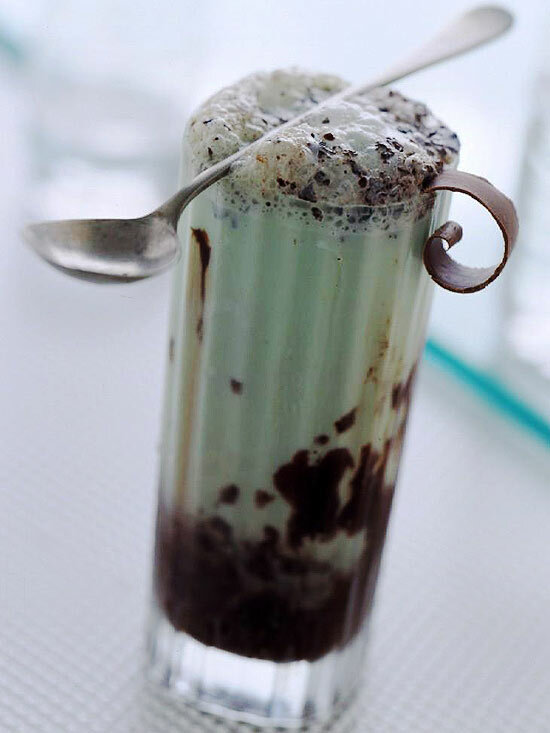 Add 2 scoops (1/2 cup) of mint-chocolate chip ice cream to each glass. Add 2 more teaspoons of chocolate syrup to each glass. Slowly pour 1/2 cup carbonated water or cream soda into each glass for fizz. Makes 4 servings. Prepare your favorite white cake mix, then divide the batter evenly among six small bowls. 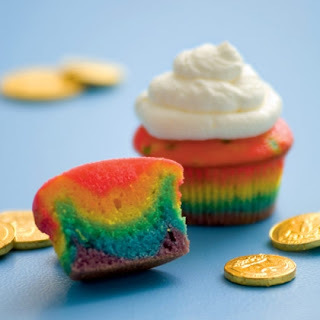 Following the chart below, dye each bowl of batter a rainbow color.Line 16 muffin pan wells with baking cups. Evenly distribute the purple batter among the cups, then the blue, and so on, following the order shown. As you go, gently spread each layer of batter with the back of a spoon to cover the color underneath. Bake the cupcakes according to your recipe directions. Before serving, remove the paper wrapping, and if you like, top each cupcake with a whipped-cream cloud.